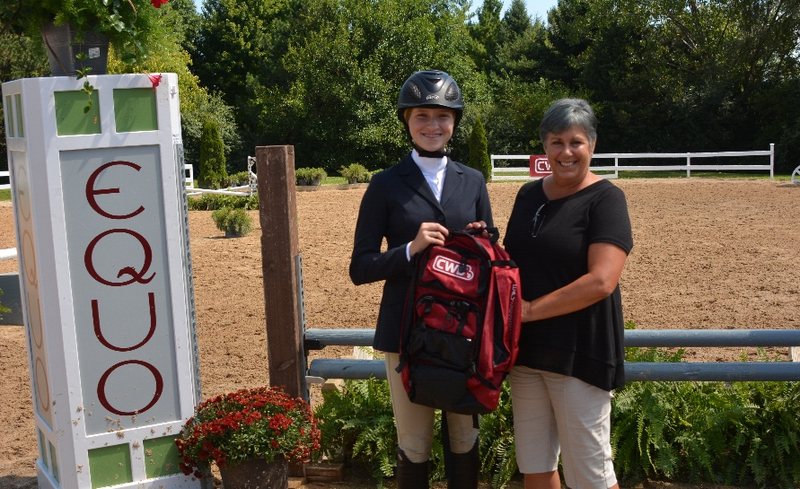 Galway Farm hosted a weekend of education at the Galway Farm Equitation Classic. 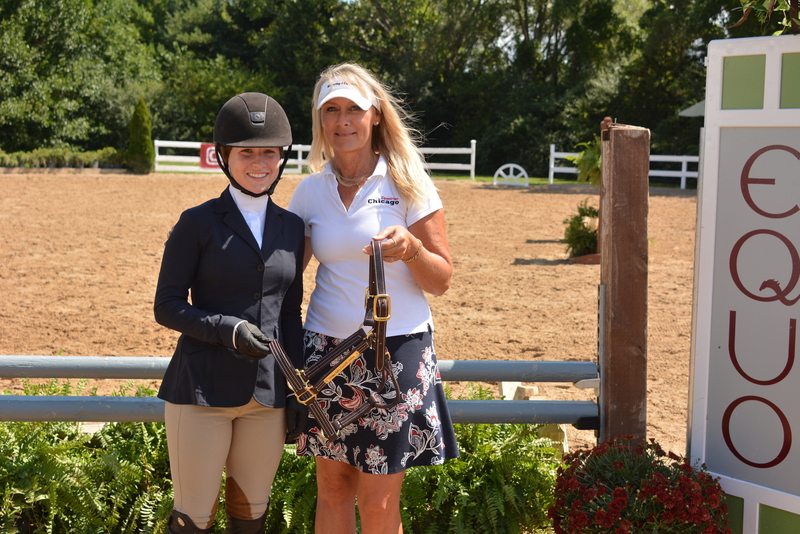 Long Grove, IL - August 29, 2016 – The first Galway Farm Equitation Classic provided education, plenty of hospitality and real ring time for riders of all levels with clinician Diane Carney at Lorrie Canady’s Galway Farm in Long Grove, Illinois. Riders concentrated on flat work, no stirrup work, gymnastics, position and some exercises that demanded precision and leg to hand aids on Friday and Saturday clinic sessions. Liz Atkins completed the exercises during the clinic sessions. 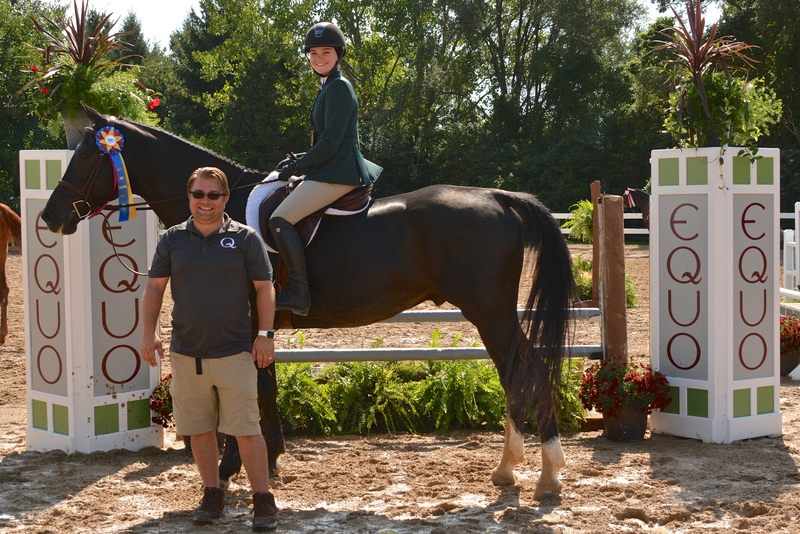 The weekend, organized by Marketing 4 Equestrians, wrapped up with a horse show on Sunday for riders to apply the skills they learned from Carney. 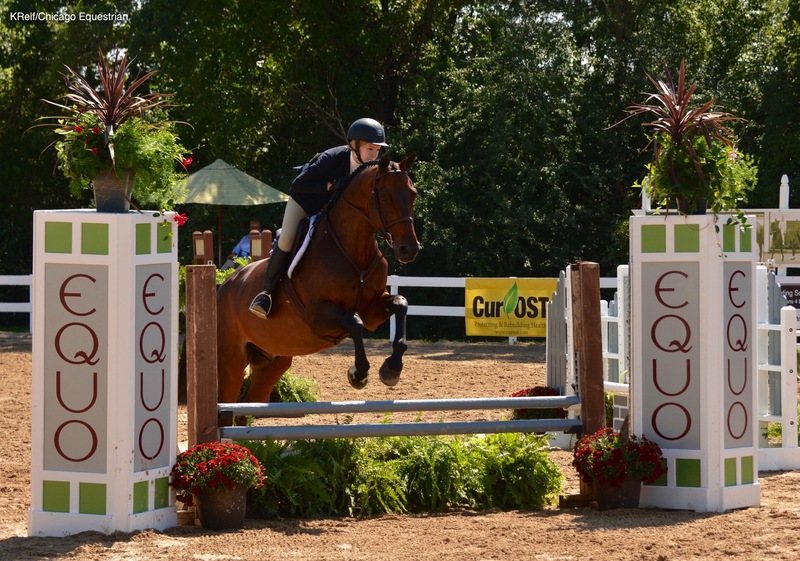 Classes in which riders could compete in included the 3’6” Galway Equitation Classic, the 3’0” EQUO Equitation Classic, and the 2’6” North Shore Catering Equitation Classic. 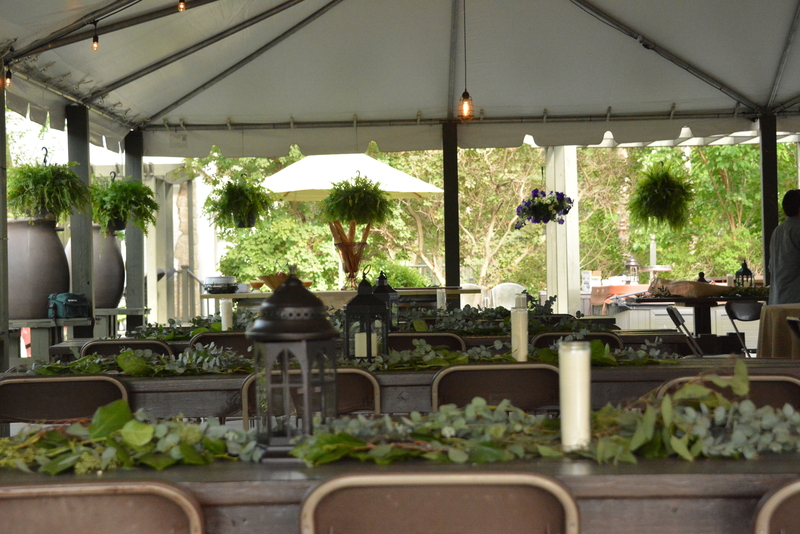 Galway Farm's new event venue was used for most of the hospitality. Hospitality was red carpet as North Shore Catering supplied fantastic food in Galway’s new event venue with an Italian Dinner on Friday sponsored by Cur-OST and a Mexican dinner on Saturday sponsored by North Shore Catering. 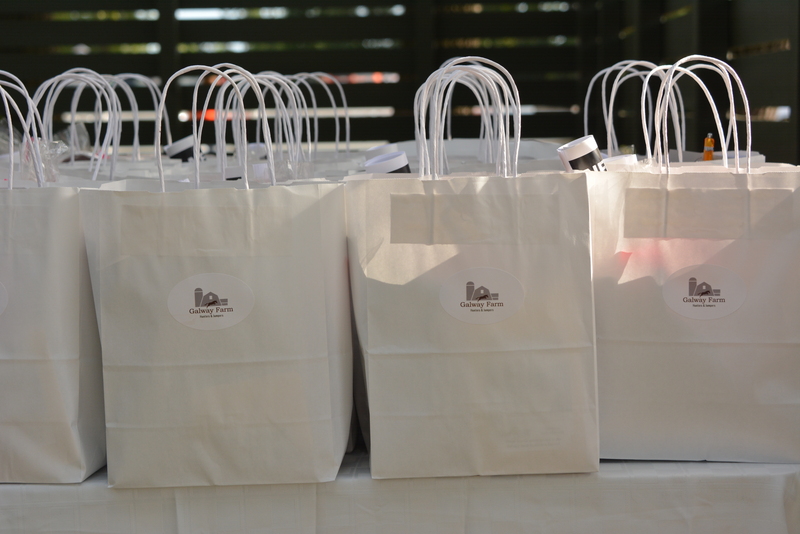 Snacks, breakfast and lunch were also supplied throughout the weekend sponsored by CWD, Taylor Harris Insurance/Peggy McEnroe, Blue Ribbon Blankets, Arlington Heights Ford and Prairie Equine. Sunday included a fantastic champagne brunch. 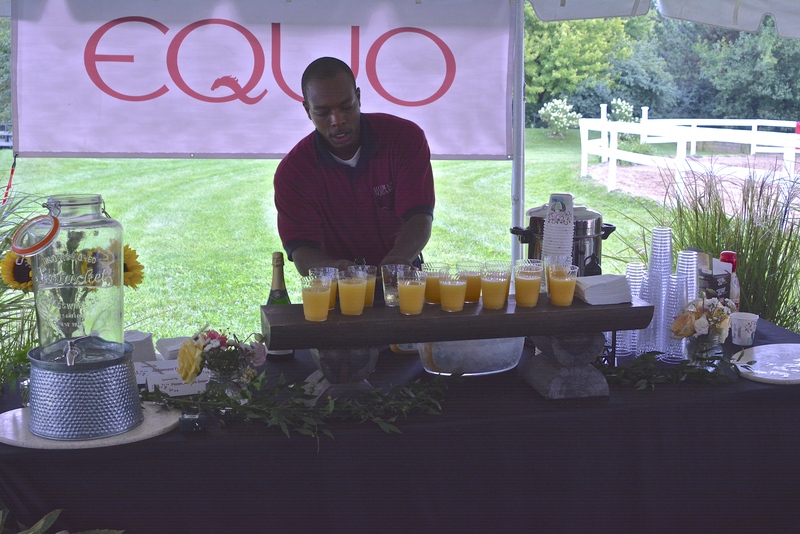 Included in Sunday’s show day was a light breakfast and champagne bar sponsored by Judgment Farm and brunch sponsored by EQUO-US and Pioneer Tavern Group, all provided by North Shore Catering. 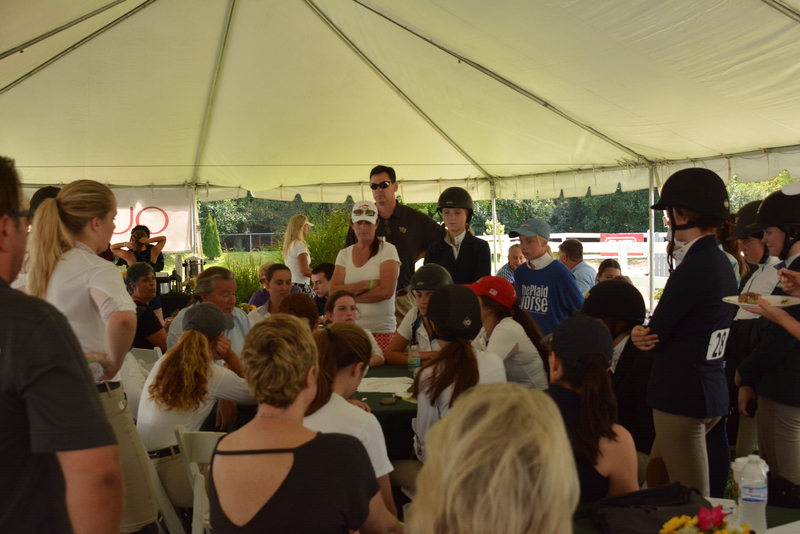 Riders sat down with Carney after the classes, which included flat work and additional testing, to discuss and evaluate each rider’s performance. This allowed for one-on-one time with Carney to discuss any improvement needed in the show ring, as well as receiving feedback on things they did well. 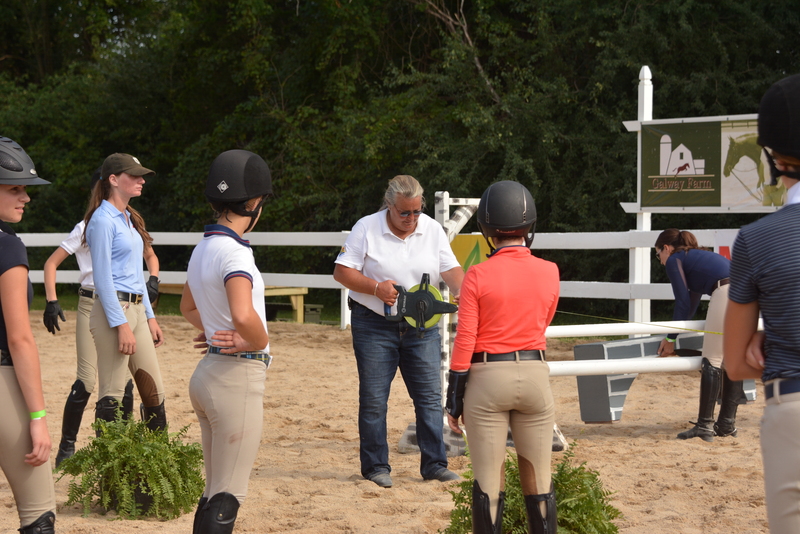 Discussions after each section helped riders learn how to improve in the show ring. 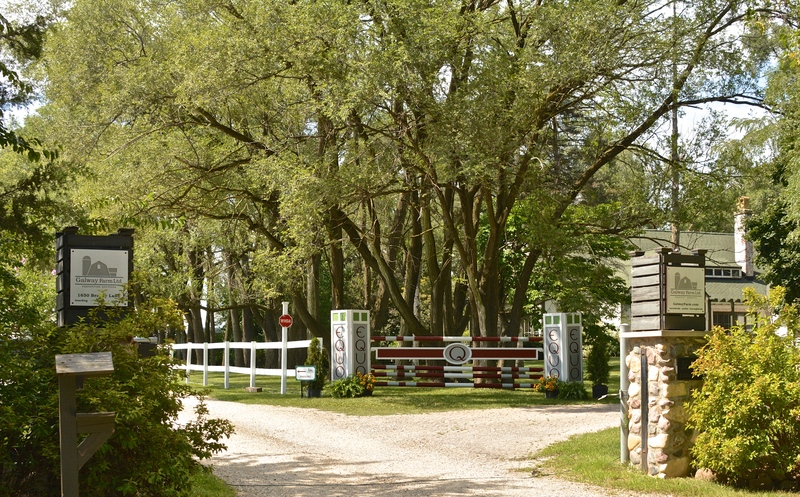 “I think this is a great idea that Lorrie Canady had to take an event like a grand prix, although this [event] is sort of hunter derby/equitation format, and break it down to the preparation in the morning, the ‘how do I get ready for the class?’ and actually having the pressure of an event,” Carney expressed on the success of the weekend. Riders had to maneuver a course that included a couple of tricky bending lines, something riders worked on repeatedly during their over fences portion on Saturday. When asked what the main focus was for this course, Carney said she was looking for good contact out of the riders. Good contact ensured a steady and straight ride over the fences. 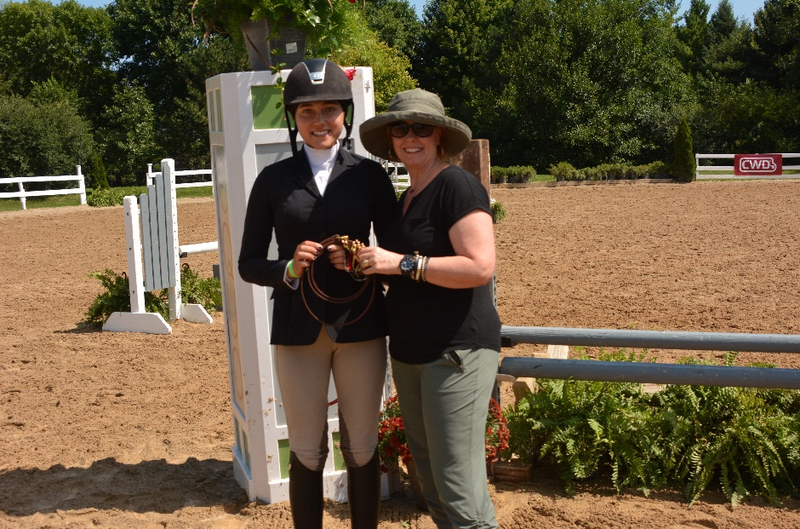 Erica Halstead earned the Gold medal in the 2'6" North Shore Catering Equitation Classic and was Most Improved Rider. 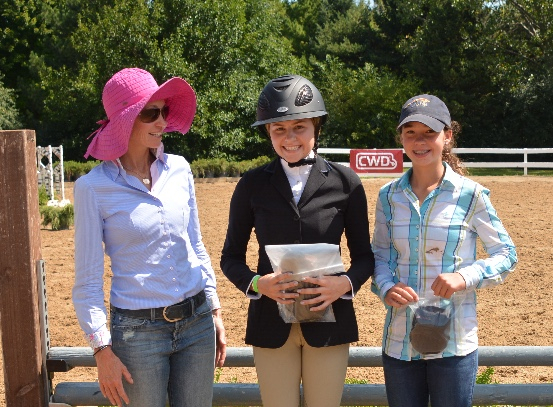 Taking the top prizes were Alex Pielet in the 3’6” Galway Equitation Classic, Lanie Bricker in the 3’0” EQUO Equitation Classic, and Erica Halstead in the 2’6” North Shore Catering Equitation Classic. 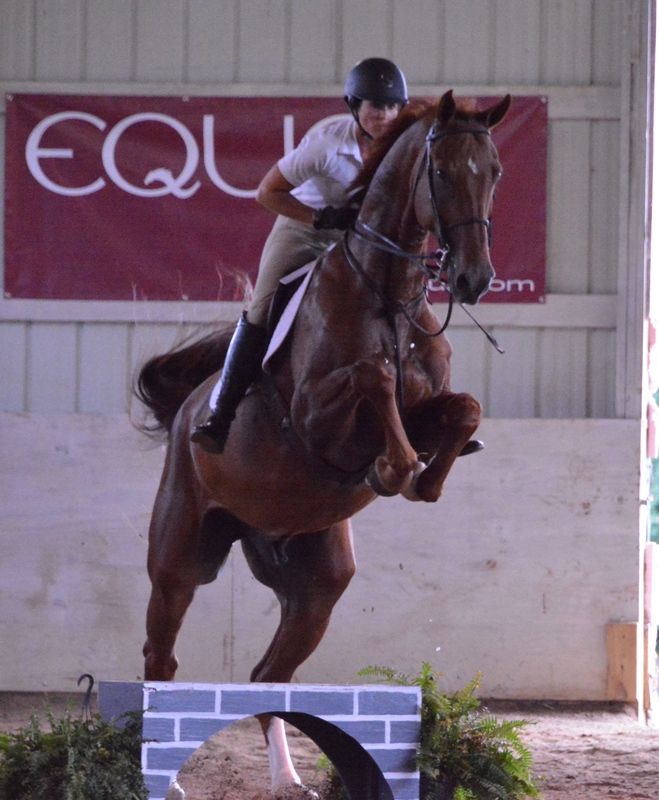 Lanie Bricker won the 3' EQUO Equitation Classic with Andrew Filapowski presenting for EQUO. “I learned to use my leg more than my hands when I’m turning. It was really nice working with her [Carney] and going through all that stuff even if it wasn’t perfect every time and learning how to fix it,” said 3’0” Classic winner, Bricker, of her takeaways from the weekend. “I was hoping for them to broaden their horizons a little bit. I really liked that they had to think on their own instead of being told every step of the way, they had to understand the course and the questions that were asked and then they had to implement it and take what they learned all weekend and do it into the course,” said Tina Judge, Judgment Farm, of her four riders participating in the event. The day ended with special awards offered for Best Turned Out sponsored by CWD, High Scoring Flat Rider sponsored by Jenna Wedemeyer Designs, Highest Scoring Rider of the Day sponsored by Marketing4Equestrians, Leading Trainer Award sponsored by Rebecca Ray, Sportsmanship Award sponsored by the Canfield Family, Best Horse sponsored by Equitouch and Most Improved Rider. 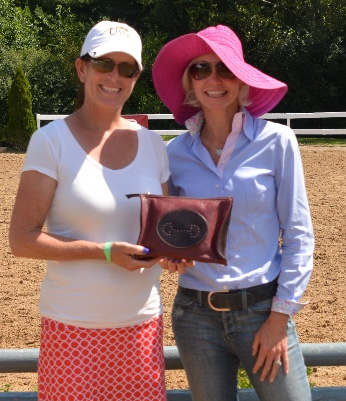 Best Turned Out went to Kaitlyn Van Dyke, presented by Lorrie Canady. Best Horse went to Luigi and Erica O'Niell. Hannah Doherty earned the Sportsmanship Award presented by the Canfield family. Louisa Brackett was High Scoring Flat Rider presented by Jenna Wedemeyer. 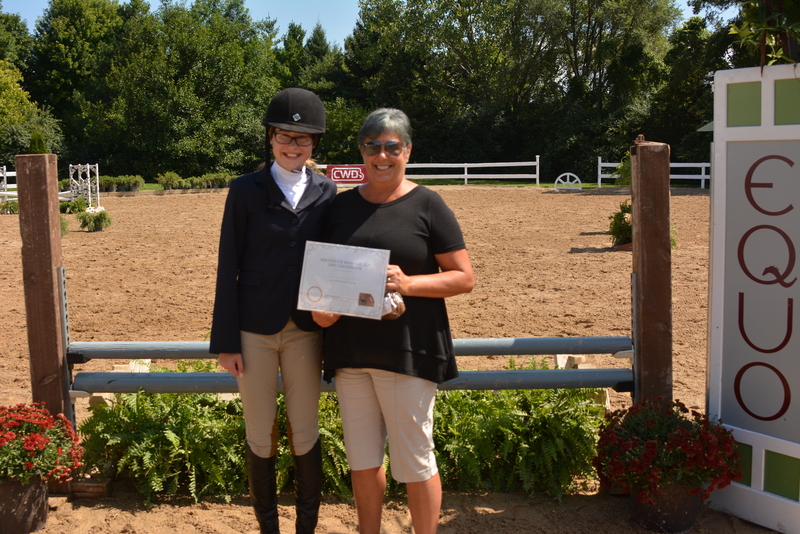 Alex Pielet won the 3'6" section and was Highest Scoring Rider presented by Brenda Mueller. Dates for the additional events will be announced as soon as they are confirmed. Visit the Galway Farm website for updates, www.galwayfarm.com. Like them on Facebook for more photos of the event. Visit their sale horse page to #FindTheOne on your next horse shopping trip. Galway Farm now offers a complete outdoor event venue available for parties, weddings, clinics, corporate and charity events. Details are available on their website. 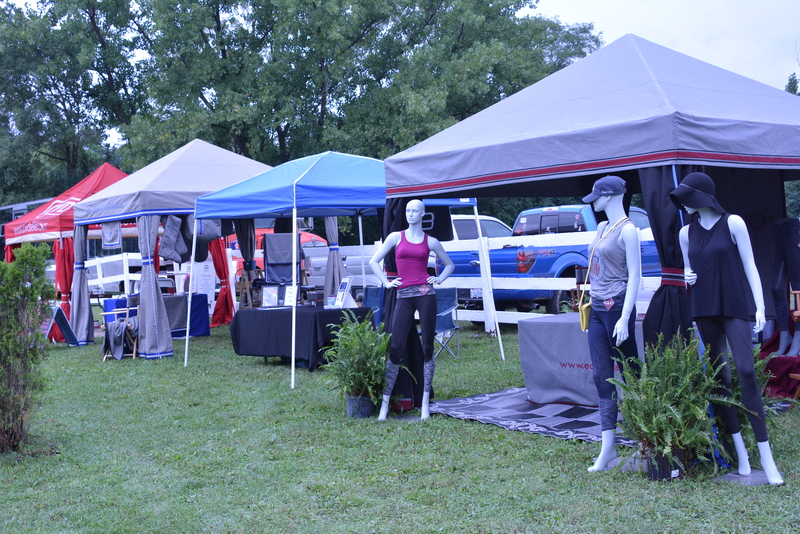 A portion of the proceeds will also be donated to the USHJA Foundation's Horseman's Assistance Fund.